Wednesday 3 April saw the official first night of the 2019 season take off with our quiz night. In all 30 people came along, making up 8 Teams (and there were 3 'helpers'). Liz & Andrew set the questions – the usual suspects Food & Drink, TV, Sport, etc plus a new Catchphrase round (7 categories in all). It was greatly contested and “Edna’s Missing” made up of Lucy Turner, Margaret Wise, Jenny Dixon and Mandy McIntyre only just pipped “The Return of the Numpties” made up of Tracey Miller, Roslyn Davidson, Lynne Harvey and Jane Ingles to take the win by getting the closest answer to the tie break question. There was also a “Numpties” award for the lowest scoring team, which this year was awarded to the “Hacker Ooters” made up of Natasha & Leanne Wilson, Jill Struth and Lynn Rodger. Thanks to all those who came along to either help or take part. Everyone seemed to enjoy the night. Roll on those summer nights. Weekend dressage at Highfield at Howe is changing ! A local group of dressage enthusiasts are going to take over the organisation of these events and we will be adding to the scope and variety of classes available. We will still be offering British Dressage Affiliated and Quest club classes but we will also be adding a brand new Kingdom Dressage League for unaffiliated classes. The Kingdom Dressage League will run at levels from Intro to Medium with monthly events from May and a championship in November 2019. IMPORTANT NOTICE FOR FIELD USERS! Anyone intending to use the field, please note TRICIA has had a problem with her mobile phone and is unable to get messages or texts on that number. UNTIL FURTHER NOTICE, please contact her or leave voicemail on her home telephone number - 01337 860331. Posted 13.30 , 31 March. Here are the dates for the main inter- club competitions in 2019. 1. Area 22 Horse Trials Qualifiers - 28 April 2019 at Forgandenny. 2. Area 22 DTM Qualifiers - 9 June 2019 at Ladyleys, Old Meldrum. 3. Area 22 Quaifiers ( Dressage/ Riding Test/ Style Jumping & Showjumping) - 27/28 July 2019 at Brechin. 4. Saddle Up Scottish Riding Clubs Championships - 28/29 September 2019 at Auchlishie. Good news that these competitions are mostly within an hours drive. 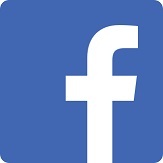 HAVE YOU VISITED THE FRC MEMBERS FACEBOOK PAGE? Having checked our current members list, we found that there are nearly 40 people who are paid up members but who are not on the clubs Members Facebook page. This page is only open to paid up members, not the general public. While you can get lots of information about the club on our website, the Fife Riding Club Members Facebook page is the best way of getting the most up to date info direct to your mobile device. So, if you haven’t joined up yet, now might be a good time to do it, as we head towards springtime. You might also want to visit the Fife Riding Club Flog it Facebook page and the Fife Riding Club Open Shows Facebook page - both are open to non-members. EQUINE FLU - KEEP YOUR HORSE SAFE! There are reports of a number of cases of EQUINE FLU down south. Although no cases reported in Scotland so far, it is probably only a matter of time before it heads our way. 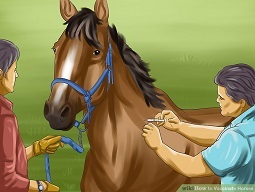 The best way of ensuring your horse’s safety is to keep your flu vaccinations up to date - or get your horse vaccinated if you have not done so already. WHAT A WEEKEND WE HAD! WELL DONE ALL OUR RIDERS. On Saturday we had riders in the dressage, riding test, showjumping and style jumping classes. By 10.00 am we learned that Glenn Wheelans & Ruby were runners up in the 100cm individual Showjumping - not a pole down, just a tad slow in the jump off. Meanwhile at the opposite end of the showground, way down the hill and far way, we had dressage where Fiona Wright & Annie won the N24 class. Not to be outdone, team mate, Kim Wilson was 1st equal in the N28 with 21st Century Fox. There were three in the team - Fiona, Kim and Mandy Law & Innes and the team ended up in 3rd place overall.Fiona also won the Individual N28 class and collected a special prize of an Equitheme shirt from the sponsor. In P14, Dawn Wallace & Silver Banner DW (Bobby) finished in the runner up position ( in spite of an unexpected dismount in the warm up! );in the RT Novice individual class Joyce Simpson & Clive were the winners, with Mandy in 3rd and Kim in 5th. In the 70 Showjumping Individual class, Joyce was second and Kerry Anne Strachan & Kenzie were 4th.These two were also in the ribbons in the individual 75 style jumping class. Then there was Sunday. In the end only 5 riders made it - Jenny Cushnie & Diablo Sie and Sarah Cunningham & GL Flashy Blue in the 100. This was Sarah's first 100 and how well they went - sadly a blip at the combination cost them a place but a great try anyhow. Jenny and Dalton ended in 6th place. The 80 team of Elaine McDonald (Wizzard), Ferne Fairfull (AmourevaZ) and Alicia Hay (Elliot III) had an outstanding day. The dressage was won by Ferne with Alicia in second which set them up nicely for the rest of the day. With clear showjumping rounds and minimal time penalties on the xc phase, this team of three were miles ahead of the runners up. What a performance by all our riders - probably our best ever result at these championships. Again, well done , all our riders! Just a polite request to any member wanting to use the field for exercise or training purposes. The rules about who can use the field and when are well known and posted elsewhere on this website. Anyone interested needs to contact SHONA BEFORE going to the field - this is an insurance requirement and covered by Club Rules. Shona works during the day and also has a horse to ride so she will not necessarily be able to pick up the phone when you call. This could be important especially if you have a query that needs an answer - so make sure you give Shona time to get back to you- at least 24 hours. Secondly, please show some consideration by phoning at a reasonable hour. At present people are phoning at any time between 6.00am and midnight! Try to keep your calls confined to daytime and certainly no calls after 8.30pm. Thank you! It's the time of year when riders start thinking about the new season and exciting times ahead. A good time then to remember that we will all have a better experience in the show ring if we all observe a few simple rules. Here are some tips on how to behave in company! Whether you are a novice show rider, or you have been doing it for years, whether it’s in hand or ridden, we’ve all come across people who don’t know basic show etiquette. So here are the top 10 tips to show respect to others and to not annoy people at shows in the ring and warming up. Share this and educate the world! Everyone in the ring wants the judge to look at their horse, don’t be that one person that overtakes right in front of the judge. It won’t impress the judge, in fact it will probably just annoy them and everyone else in there. This one is for the warm up ring. I have seen countless collisions and near misses because people just don’t know this rule. It’s more safety than just etiquette, and very important. It’s understandable that you will need to change the rein and people will be travelling in different directions, so remember this one and there reduce the risk of an accident. When showing in hand, the judge will ask you to walk away and trot back to them. At the end of the walk when you turn to trot back, make sure that you push your horse round away from you, instead of pulling them around. This follows on from number 2, but for jumping warm up rings. Jumping the jump both ways is just downright dangerous, not only are people warming up on both reins, but jumping both ways means there are horses flying in every direction and no one knows what is coming from where. People don’t put ribbons in their horses’ tails for fun, they all mean something, and to keep you and your steed safe, you should take note of what they mean. If it is your first show, or you are on a young horse, or anything like that, there is nothing worse than someone cantering past you trapped in a corner coming very close. It causes horses to feel trapped, can spook them and can unnerve an inexperienced rider. Just don’t do it, it’s not nice. This follows on from number 6, but for jumping. When someone is coming to a fence, or leaving it, their concentration is on the jump and their striding. Don’t get in their way! You have the whole of the ring to ride in, just move or halt for those few seconds and let them jump. Don’t stand around the gateway having a mothers meeting! Stand outside the ring. The warm up ring is for warming horses up, not chatting. Stand outside and give everyone room to work in. A rider has enough to concentrate on with all the horses flying about everywhere without having to worry about trampling stragglers too. Plus if there is an accident or a horse spooks, you are in the firing line and it is your own fault. Don’t crowd other riders and keep at least a horse’s length between you and the horse in front of you. This keeps you at a safe distance from being kicked – remember these are more than likely to be horses that you do not know. When there are riders working on both the inside and outside track, leave enough passing room that one horse isn’t able to bite or kick at the horse on the other track. Too many people take showing far too seriously. I’ve seen tears, tantrums and slanging matches way too many times. At the end of the day horses are our passion and showing is for just that, showing our pride and joy off. If you don’t win then never mind, better luck next time. Don’t be horrible to the person that won and ruin their day, however you are feeling, say well done and smile on your way out of the ring and let them enjoy it. You would want them to do the same to you. The rules about hats are changing this year - check out details in the attached link before buying a new hat. We try not to cancel if at all possible but the weather this “summer” has been exceptionally bad and occasionally we have to accept defeat! As far as Wednesday Night meetings are concerned, the latest time we can cancel is around 5pm. If the decision to cancel has been made, a note to this effect will be placed on the FRC website and also on our Facebook page. If you do not have access to the website or Facebook then you should text Linda on 07740 027427 (after 5pm) to avoid a wasted trip. As far as weekend shows are concerned, if there is any doubt about the weather or ground conditions, a site inspection will be made at about 8am. If cancelled, again a note will go on the website or Facebook page or else the show organiser should be contacted by text or phone after 8.30am for an update.